Leading Manufacturer of siemens logo plc and siemens s7 200 smart plc from Dadra. We are offering wide range of Siemens Logo PLC. These are made from high quality raw material. These are used to display of message texts, setpoint and actual values as well as direct modification of the values on the display. 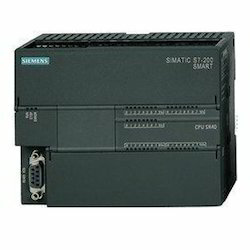 We are offering Siemens S7 200 Smart PLC to our client. SIMATIC S7-200 SMART delivers consistently economical solutions. powerful performance, optimum modularity and open communications. Small and compact - ideal for any applications where space is tight. Looking for Siemens Logo PLC ?